Carillon®ERP has clients with their servers in the cloud and on on-premise servers. Wherever our client decides to host the Carillon®ERP software, Carillon will still provide comprehensive support to the software depending on the chosen Support Plan. In this scenario, a cloud provider will host the Carillon®ERP system, the chosen database and the optional KwikTag server in their secure facility. When searching for a cloud provider, it is important to find a company that maintains an SSAE16 Type II SOC1, SOC2 (Security and Availability Only) and SOC3 data center. 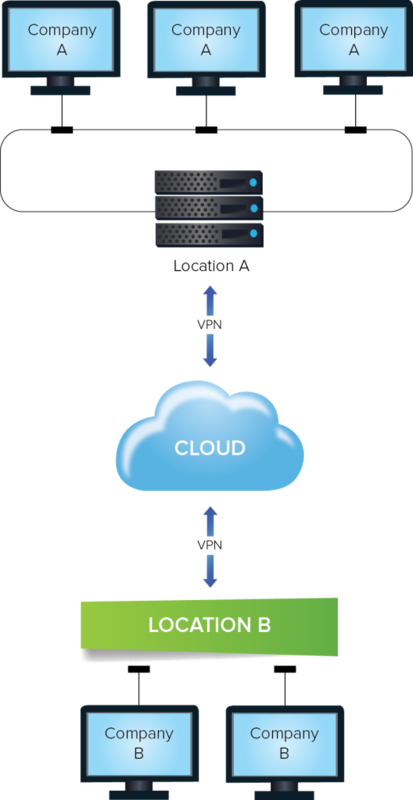 The provider will then put your information on the cloud using a Virtual Private Network (VPN). Everyone in the organization will then be able to access their data in the cloud via VPNs. See Diagram 1. If an on-premise solution is a better fit for your organization, Carillon can help you find a server with the specifications your company needs. With this option, you should also consider a cloud backup for your on-premise solution and Uninterrupted Power Supplies (UPS) to ensure that your information is secure and accessible. 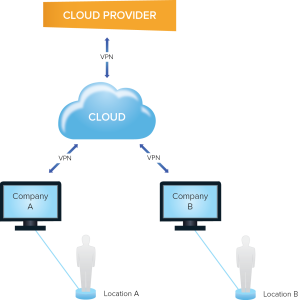 If your organization has multiple locations, you can create a cloud network that your other locations can access. See Diagram 2. When choosing between cloud hosting or an on-premise server, every organization will find that there are pros and cons of each option. Carillon is more than happy to explain these options to you and decide which set up is best for your company.